You are currently browsing the tag archive for the ‘david lean’ tag. As the new high-definition format continues to grow, it is becoming a more and more interesting prospect for classic film lovers. Message boards have been filled with young technophiles asking ‘But how can a film made before High Definition look anywhere near as good as movies made today?’ Others are quick to point out that a 35mm frame is far higher resolution than the highest HD currently available. Below are the few titles to be excited about on the new format, and indeed you couldn’t do far worse than wind up on a desert island with these six. 1. Black Narcissus (Great Britain, Michael Powell,1947) Probably the title I am most excited about. My DVD copy, released briefly during the early days of the format, is a mangled picture of washed out colours. Being one of the most gloriously colourful of all films, it’s incredible to see what a difference can be made using the new format. A tale of repressed passions amongst nuns in an Indian convent, this is surely one of the greatest of all films? 2. 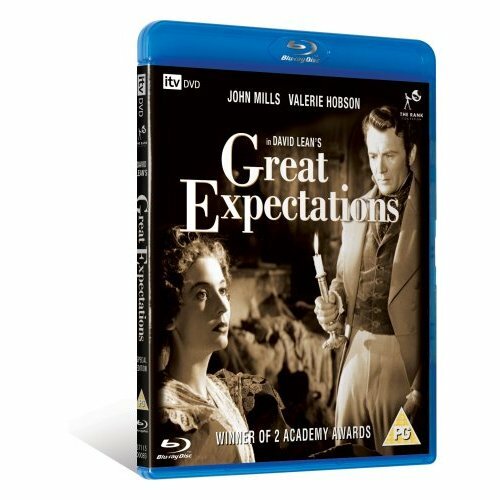 Great Expectations (Great Britain, David Lean, 1946) Black-and-white British films are often neglected in favour for American product, even where seasoned filmgoers are concerned. They are often equated with war movies, cut glass accents and the afternoon slot on TV. As a fan of the novel, I had seen David Lean’s Great Expectations before but its full power came to me when watching scenes from a newly-restored version from the front row of NFT1 at the BFI Southbank. Watching Magwitch threaten young Pip was a powerful and elemental scene, turning every viewer back into a child. This edition is especially important due to the degraded quality of earlier DVD releases. 3. The Seventh Seal (Sweden, Ingmar Bergman, 1957) I don’t know how long this next pick will be available since Tartan Video only recently closed its doors. A pretty tragic affair; Tartan has long been, along with Artificial Eye, the premier distributer of art-house cinema. Long before DVD came about it was only the distinctive design of Tartan and Artificial Eye tapes that lined the World Cinema section. They put out some very important releases on their time, including a heavy emphasis on the films of Ingmar Bergman. 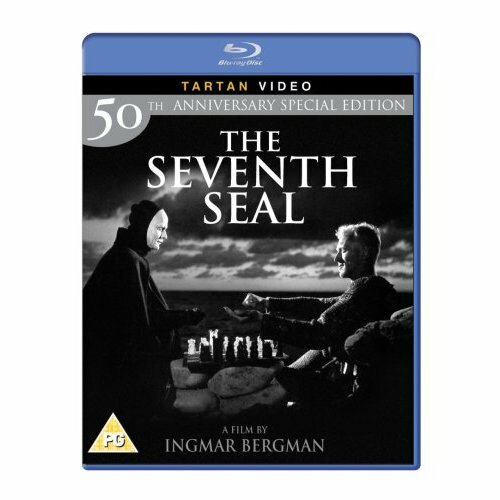 Fittingly, their first (and last) Blu-Ray release was Bergman’s most famous, The Seventh Seal. Featuring glorious black and white cinematography – the ominous skies of the opening are not far from Great Expectations – this is a film that actually contains more humour that it is ever given credit for, and is a dense text that warrents many a repeated viewing. In fact, I think I’ll watch it again soon. 4. Rio Bravo (U.S., Howard Hawks, 1959) The first of two classic westerns on the list. 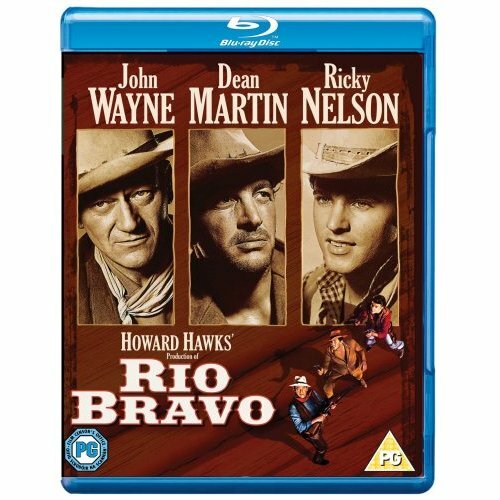 Revered as one of legendary director Howard Hawk’s finest films, Rio Bravo is a western driven by a simple and effective set-up. Misfits John Wayne, Dean Martin and Walter Brennan are left to protect the small outpost in a world comprised only of a prison, bar and hotel. When the gang of outlaws ride into town, the distance from which they appear seems like an almost mystical place far beyond the trio’s world. The simplicity of the film turns it into a succinct allegory of good vs. bad, but the real joy comes from watching the interplay between Wayne, Martin and Brennan, all in their element. 5. The Adventures of Robin Hood (U.S., Michael Curtiz, 1938) Michael Curtiz directed Errol Flynn in many of his films throughout the 1930s, defining the swashbuckler’s persona in his first starring role in Captain Blood. Flynn would go on to repeat that successful formula in period dramas, pirate adventures and westerns. But perhaps it was the vivid Technicolor of The Adventures of Robin Hood and its pure adventurous spirit that turned it into one of the best loved of all adventure films. I suspect it has a lot to do with viewers’ childhoods and how they connect to the film when they were young (Indeed it was Tony Curtis’s favourite film as a child). Also featuring Olivia de Havilland whose elegance played well against Flynn’s exuberant performance. But as always it is Flynn who acts as the driving force: charismatic, dashing, playful and intense, it’s not hard to see why he was so successful. 6. The Searchers (U.S., John Ford, 1956) There are other great westerns and other great films by John Ford, but over the years The Searchers has risen to become one of the most revered of all films. With its wide open vistas of Monument Valley and the classic images of John Wayne returning home at the beginning and framed in the doorway at his exit at the end, this is an impeccable example of the genre. But with its themes of family, race and redemption it is also particularly complex and sensitive. Ultimately it is the open-ended and almost spiritual quest that Ethan Edwards (Wayne) must set out upon that keeps viewers returning. For me the most important aspect of these films on Blu-Ray is the clarity of the image. Even if you know these films very well, there will be a definite sense of rediscovery when watching these six titles in High Definition. As a set of bone fide classics – to the point at which we can tend to take them for granted – these six early releases are certainly worth watching and rewatching.